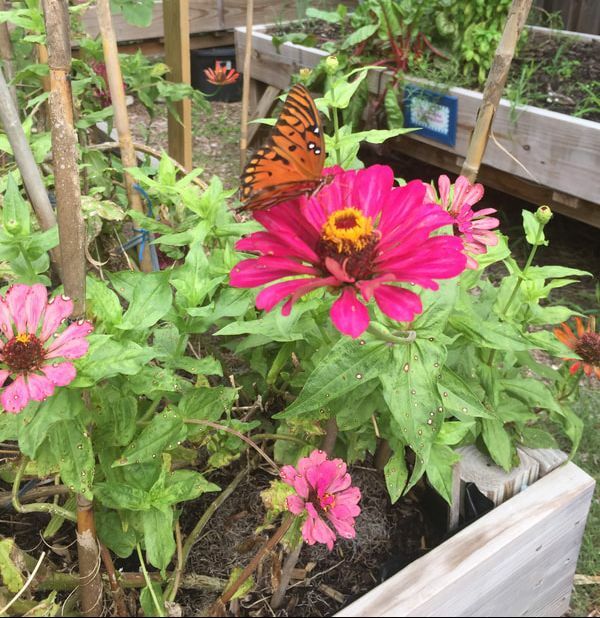 ​The mission of the Cedar Key Community Garden is to build a sense of community that is supported by the community and is productive, aesthetically pleasing, and welcoming; the Garden further seeks to educate and inspire people to replicate our efforts in their backyards and in established community gardens, and to start new community gardens. 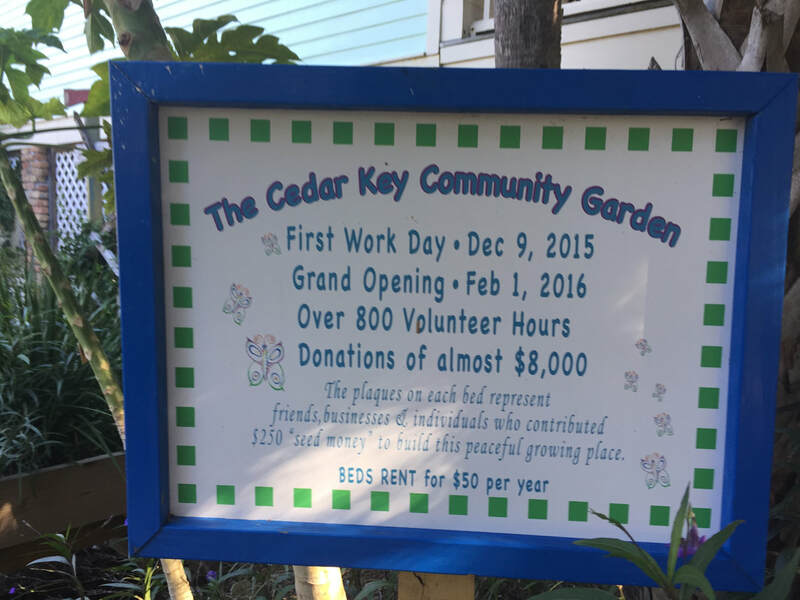 In November 2015, Cedar Key Community Garden began as the dream of a Cedar Key resident with years of experience in organic farming. He shared the idea with another. Captured by the dream, by luck, she had land in the center of town where the Garden might take root. 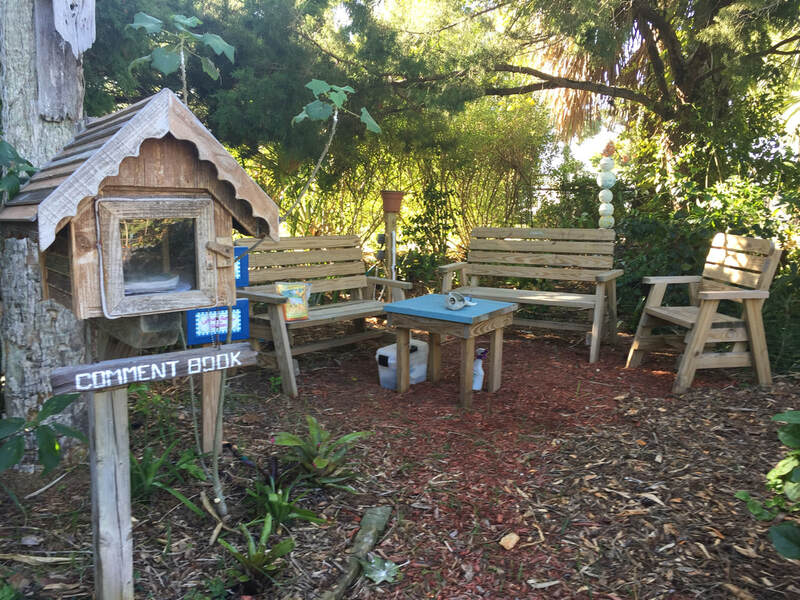 In its Cedar Key way, word spread and the community embraced the possibility. The first Work Day happened within a month. Three months, 800 volunteer hours, and almost $8,000 in donations later, the Grand Opening occurred in February 2016. What a whirlwind! Read more. We love to celebrate together. 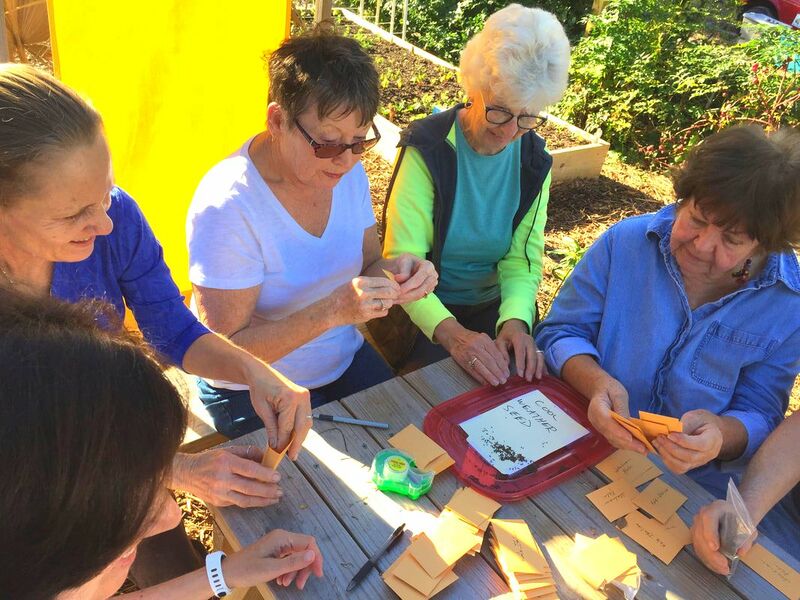 Our Work Parties are a mainstay of the Community Garden. Each is laden with good company, food, drink, and many smiles. Our initial Work Party was only a month after the idea for the Garden appeared in our minds. Many Work Parties, but only three months later, the Garden held its Grand Opening. Now, our Work Parties happen when we need and want them. In addition, we sometimes have a Garden Party just because we feel like celebrating. Read more about Garden Parties and Work Parties. Cedar Key Community Garden beds make planting, weeding, and harvesting almost easy. They are 4' wide, 10' feet long, and about 4' off the ground. Designed by Cedar Key resident Joe Hand, they allow for gardening with a minimum of bending and back strain. Joe's instructions and materials lists are available free to you. Read more. 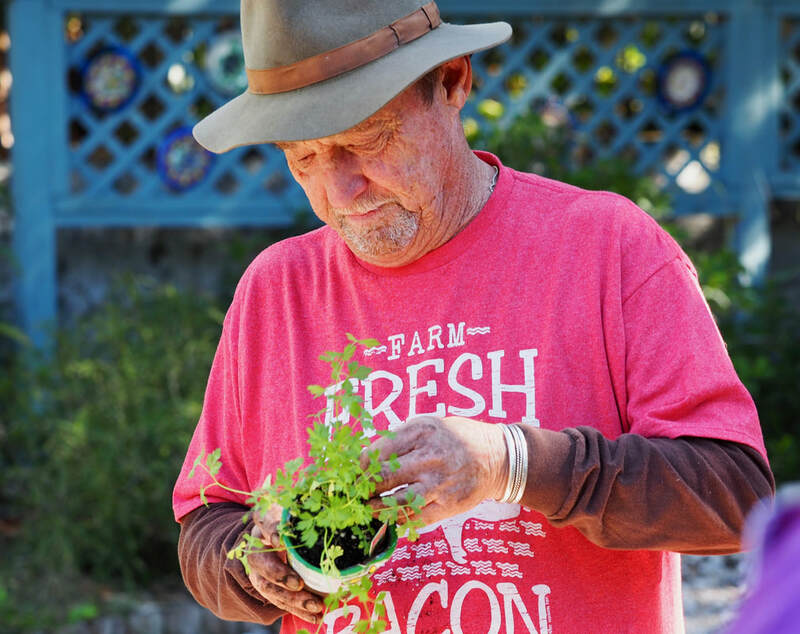 The Community Garden leader offers gardening guidance personally and by email. He is a constant presence in the Garden. Read more. Art in the Community garden comes in many forms. 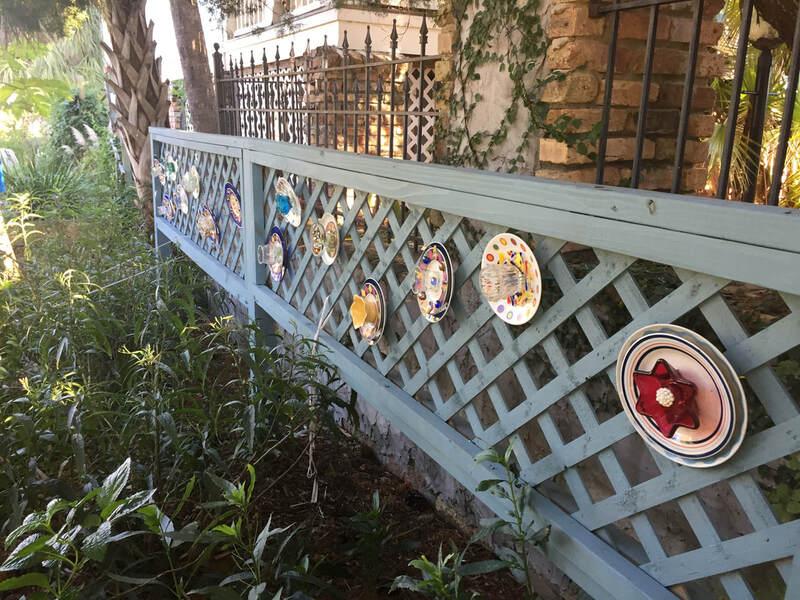 Cedar Key artists contribute pieces. The flowers and plants are an art show of their own. Natural and resident-created art is on display. Read more. Many visitors leave comments when they spend time in the Community Garden's "living room". They warm our hearts in winter and cool them in summer. Read more. 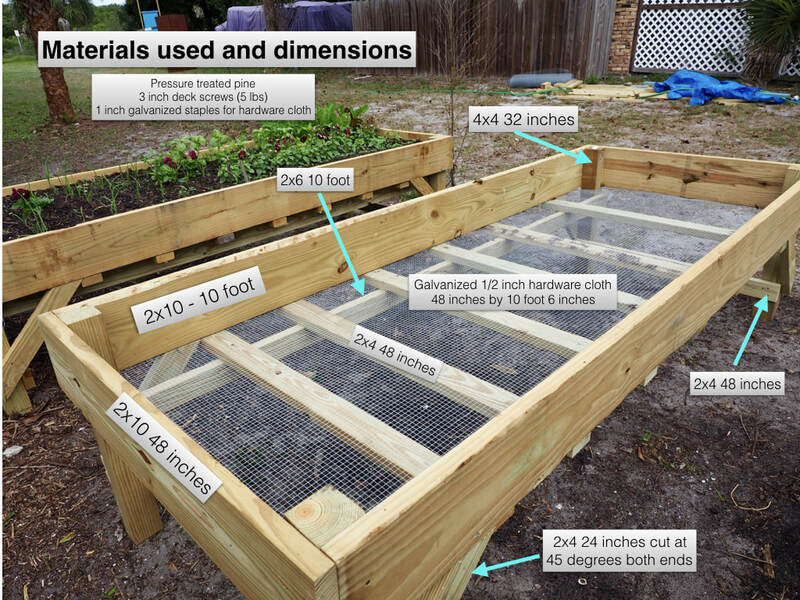 Visit this page to learn about renting a garden bed, joining a workday, sharing time in the Garden, and how the Garden pays for what it needs.